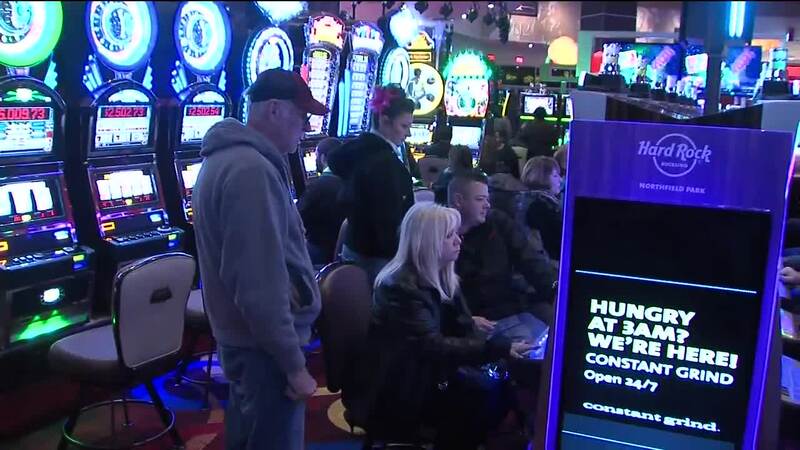 Northeast Ohio residents and visitors alike can now get a taste of Las Vegas’ nightlife here in Greater Cleveland with the opening of MGM Northfield Park on Wednesday. NORTHFIELD, Ohio — Northeast Ohio residents and visitors alike can now get a taste of Las Vegas’ nightlife here in Greater Cleveland with the opening of MGM Northfield Park on Wednesday. MGM resorts, owner-operator of casinos such as Mandalay Bay, Mirage, New York New York, Luxor, Excalibur and Monte Carlo acquired the operating assets of the Hard Rock Rocksino Northfield early this month. 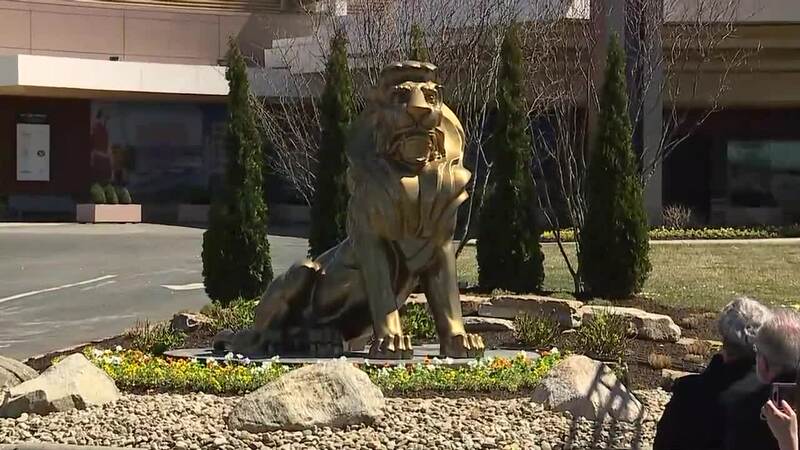 Visitors to the park will be greeted by the iconic MGM lion in the form of a 7-foot-tall statue when they enter the casino grounds. The casino didn’t just get a rebranding. The sprawling facility was reworked to give visitors a taste of Las Vegas while retaining local flavor. Visitors looking for a souvenir from their trip to the casino can visit The Shop. The casino offers new food options with TAP Sports Bar, The Buffet, The Roasted Bean and the Center Bar and Lounge.